Westminster versus Downing Street. The latest battle in the Brexit saga has pitched MPs against Britain’s Prime Minister. 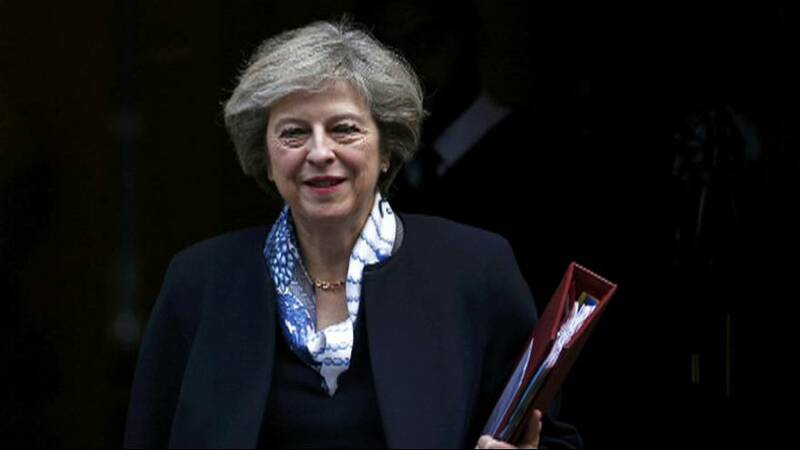 Theresa May says there will be no parliamentary vote before the process to leave the EU is formally launched, via Article 50 of the European Union’s Lisbon Treaty. The issue has been taken to the High Court by a group of claimants, including an investment manager, a London-based Spanish hairdresser, and two campaign groups: the People’s Challenge Group and Fair Deal for Expats. They argue the EU referendum was merely advisory and the government must seek parliament’s approval for such a momentous move. “Our parliament is sovereign. And the idea that Mrs May said that we’re going to get back sovereignty, actually Parliament is sovereign and it is only Parliament that can bestow and take away people’s rights. And by triggering Article 50 there will inevitably be a reduction in people’s rights. So we’re going to the courts, and I think the courts need to rule on the legal certainty of how we can leave the EU,” said the lead claimant, investment manager Gina Miller. The prime minister believes she has the right to trigger Article 50 without recourse to parliament by using a historical power known as the royal prerogative. She repeated her intention while visiting Denmark on Monday. “As I said last week, we will formally trigger the process of leaving at no later than the end of March next year. And I hope it can be a smooth and orderly departure,” she said during a joint news conference in Copenhagen with her Danish counterpart Lars Lokke Rasmussen. In the UK’s House of Commons, ruling Conservative MPs are among those concerned not just over how Brexit is triggered – but over the form it will take. Like many in the business community, the opposition fear that May is planning a so-called “hard Brexit”, with Britain forced to leave the EU’s single market in order to control immigration – with negative consequences for jobs, trade and investment. “I have stood here and accepted that there is a mandate for exit. There is no mandate for the terms. It has never been put to the country; it has not even been put to the Secretary of State’s political party; and it has not been put to this House. Where is the mandate on the terms?” Labour’s Keir Starmer, Shadow Brexit Secretary, told the Commons. Under pressure, the government did make a concession this week by allowing parliament not to vote, but to debate its strategy on leaving the European Union – under two conditions. “We need to be explicit that while we commend and welcome parliamentary scrutiny, it must not be used as a vehicle to undermine the Government’s negotiating position or thwart the process of exit. Both things are important,” said the Brexit Secretary David Davis. Sterling has fallen to 31-year lows since the prime minister’s announcement over triggering Article 50, and the court battle is being watched closely by market players. For one constitutional expert from Kings College London, above all the case will rule on the government’s right to decide alone. “Whether or not they really possess that power, whether they really can act unilaterally to take us out of the European Union, to trigger Article 50, of the treaty on the European Union, is what’s being tested in the courts,” said Dr Andrew Blick, Lecturer in Politics and Contemporary History. Theresa May has accused those behind the court challenge of trying to subvert the referendum result. The claimants reject this, saying they did not want to stop the process but bring legal certainty and proper democratic scrutiny. On Thursday a lawyer leading the bid in the High Court denied the case was “merely camouflage” by those who wanted the UK to stay in the European Union. David Pannick said that triggering Article 50 would begin an unstoppable process leading to rights such as freedom of movement – granted by the 1972 European Communities Act which brought Britain into the EU – being stripped away by the government using an ancient power. “Rights that have been created by parliament cannot be taken away by a minister,” he said. “The court is not concerned with the political outcome of withdrawing this country from the European Union. Our claim is in support of parliamentary sovereignty,” he added.